A little snack in the sun. 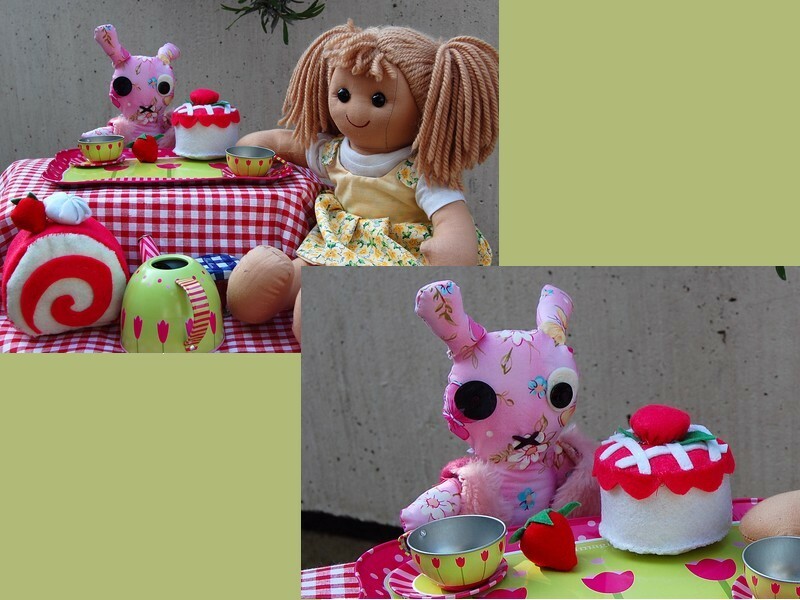 Mr Rabbit and Capucine could'nt wait for summer to have their snack on the terrace. Tutorial for the rollcake will come soon. As for the cupcake click here, and the strawberry it's over there.